Amsterdam is bursting with unparalleled attractions and sights. Not surprising when you consider the rich history this incredible city has. You will find signs of the past in Amsterdam’s monumental buildings, many museums and age-old canals. But there are also a lot of other sights and attractions to enjoy. The best known (and best tasting!) beer in the world. Almost everyone has taken a sip from the familiar green bottle. Heineken has become a way of life in Amsterdam and has conquered the world along the way. 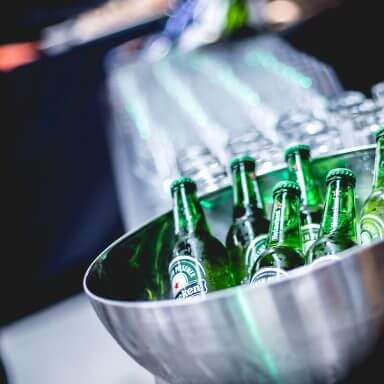 At the Heineken Experience, you will discover the history of this beer and see how it is brewed. And, of course, there’s plenty of opportunity for tasting the finished product! The perfect getaway for beer lovers or groups of friends. Want to know more about the Heineken Experience? Take a look at my Heineken Experience page. 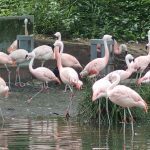 The oldest zoo in the Netherlands is packed with real Amsterdam history. In addition to its collection of animals from all over the world, you will also find a wonderful tropical butterfly garden, an aquarium and a globally unique museum which exhibits … microbes. That’s right, the smallest organisms in the world. Admire giraffes, elephants, monkeys, zebras and much more at Artis. Make sure you enjoy the beautifully landscaped gardens and historical zoo buildings, too. Want to find out more about Artis? Just go to my page dedicated to Artis Zoo. The A’DAM Lookout Tower has set itself up in the old Shell headquarters in Amsterdam North. It’s an amazing place with spectacular views over the city. At the top of the tower you will find a set of swings perched at the roof’s edge which allow the real daredevils to swing high above Amsterdam! Apart from the beautiful view, the tower has a lot more to offer. There are various places to eat and even a nightclub where brilliant parties are organized. 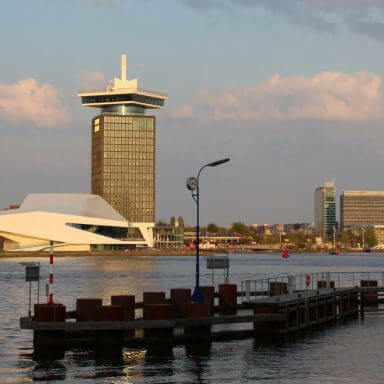 The A’DAM Lookout Tower is easy to reach from Centraal Station; the free ferry takes you to the other side of the river at Amsterdam North in just a few short minutes and the tower is only a few dozen metres away from here. Feel like finding out more? Take a look at the A’DAM Lookout Tower page. Famous all over the world and, of course, with a centre in Amsterdam, there’s nothing like Madame Tussauds! In this popular waxworks museum you can take a photo with your biggest idols, from actors to artists, politicians to royalty and nowadays with the immortalized mannequins of the best-known vloggers. 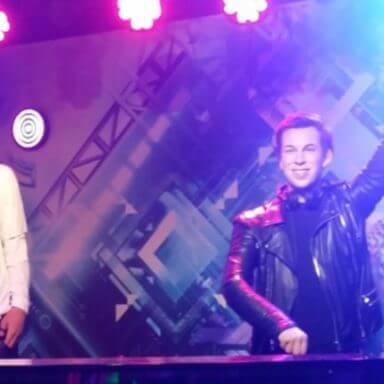 In Madame Tussauds Amsterdam you can wander around at your own pace, sing songs with your favourite artists and even read the coronation speech together with the King., You will find both national and international celebrities in Madame Tussauds, so no matter where you are from you will always come across a familiar face! This major attraction is often very busy, so I advise you to buy your tickets in advance. Look for more information on the Madame Tussauds page. Ready for a great night out? 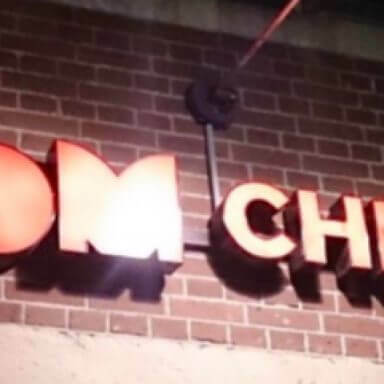 Visit Boom Chicago! This popular stand-up comedy show ensures a great six-pack workout. Boom Chicago was founded in 1993 by a group of American stand-up comedians living in Amsterdam. Right from the start it became a smashing success, so popular that they had to move to larger locations time and time again in order to accommodate the expanding public. You should bear in mind that Boom Chicago’s shows are often in English; for someone who doesn’t speak English well the evening will not be as much fun as it definitely will be for someone who does. Do you want to know more? Take a look at my Boom Chicago page. 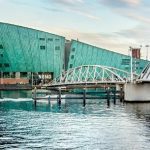 Now a true concept within Amsterdam and its surroundings, the NEMO Science Museum is an incredible place to experience! In this unique museum, children (and adults of course) can learn everything they want to know about science and technology. The museum is almost completely interactive; children are allowed to carry out experiments and are given light-hearted explanations by professional scientists. They are constantly entertained, making them more curious than ever before. Even adults can learn about subjects they never even knew existed. The museum is near the train station, so is easily accessible. 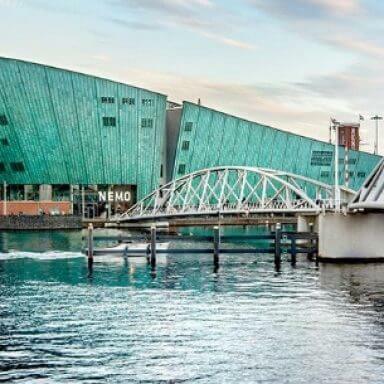 Find out more about the both museum and ticket information at NEMO Science Museum. 637 visitors rated Attractions & Sights average 4.71 stars out of 5.